Oregon bird watching is rewarding, and you don&apos;t need to be an ornithologist to participate! Just grab your binoculars and a field guide, and head out to shallow marshes, forest trails, or rugged coastline to view a wide variety of birds in their natural habitat. The best time for birding is dawn to mid-morning. A must-do for bird lovers is a visit to Eugene&apos;s Cascades Raptor Center. See rescued and rehabilitating birds of prey and learn about their role in our eco-system. 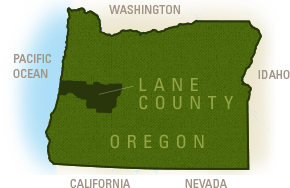 The Lane County Audubon Society holds a bird walk on the third Saturday of every month. This bird walk is open to all novice and expert birders for a small donation. Every season offers new opportunities to view migrating or nesting birds.